Between friendship links on Facebook and research on Ancestry.com (which I’ve decided is Facebook for the dearly departed), I’ve been able to make connections and conduct a level of intimate research for my new book about my great-grandmother, A’Lelia Walker, that I couldn’t have dreamed of when I was writing On Her Own Ground: The Life and Times of Madam C. J. Walker. A few days ago, a little nugget from 1910 about one of A’Lelia Walker’s friends led me to an article about a friend of hers named Ringgold. Such an unusual surname. 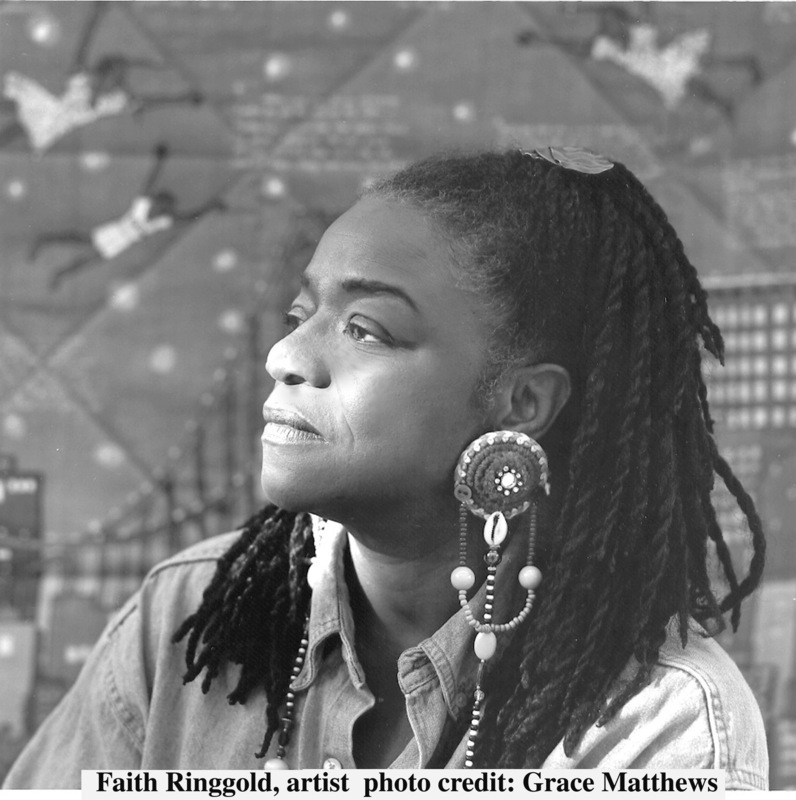 So of course I thought of Faith Ringgold—artist, quilter, author, professor and mother of author Michele Wallace–and wondered if there were any connection. I couldn’t resist reaching out to Michele, with whom I share a passion for preserving the legacy of accomplished female relatives. Fortunately, she has been kind enough to agree to investigate the lead. If a 100 year old friendship between A’Lelia Walker and one of Michele’s Ringgold family members materializes, I certainly wouldn’t be surprised. Through the magic of social media–and apparently the deep need some of us in this generation have to connect with the ancestors--the six degrees of separation continue to collapse and conflate into one or two. 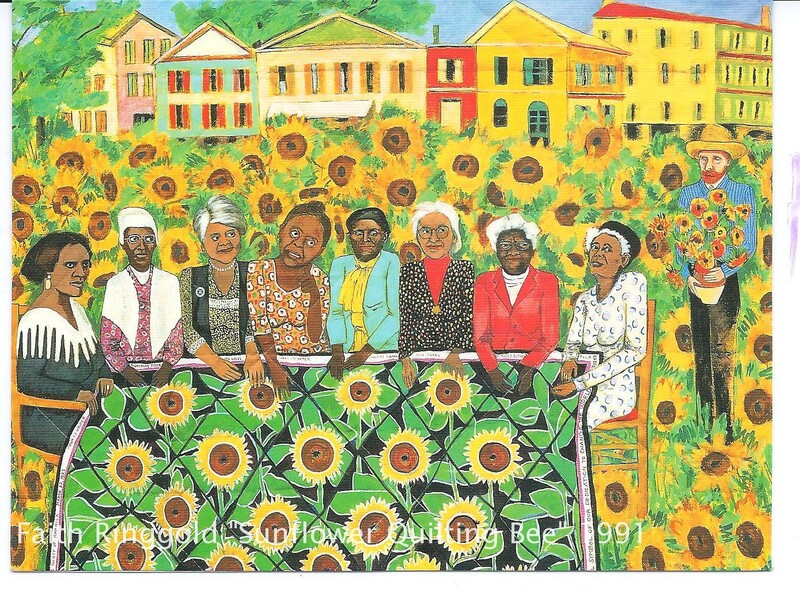 The bonus for me–in these dog days of record breaking summer temperatures when sunflowers are in full bloom– is that I always have cherished the knowledge that an artist of Faith Ringgold’s stature had featured my great-great-grandmother in one of her iconic quilts: “The French Collection Part I: The Sunflowers Quilting Bee at Arles.” Not only is Madam Walker seated at the table of luminary black women, but so is Ida B. Wells, the great-grandmother of my friend, Michelle Duster, with whom I’ve had the joy of sharing the stories of our ancestors at Chicago’s DuSable Museum and with social studies teachers in Flint, Michigan. This entry was posted in A'Lelia Bundles, Madam Walker, Madam Walker Family Archives, Madam Walker Photos, Madame Walker and tagged A'Lelia Bundles, A'Lelia Walker, Faith Ringgold, Ida B. Wells, Madam CJ Walker, Madam Waker Family Archives, Madam Walker Photos, Madame CJ Walker, Madame Walker, Madame Walker Photos, Michele Wallace, Michelle Duster, Sunflowers Quilting Bee at Arles. Bookmark the permalink.